Facebook is Boston strong this week, as the social network is celebrating the one-year anniversary of its Kendall Square office, as well as hosting Data @Scale Boston at the Liberty Hotel Wednesday. Data @Scale Boston will feature talks by engineers from local companies including Constant Contact, Wayfair, DataXu, HP Vertica, Infinio, VoltDB, TripAdvisor and Tokutek, as well as presentations by engineers from Oracle, Twitter and Facebook. 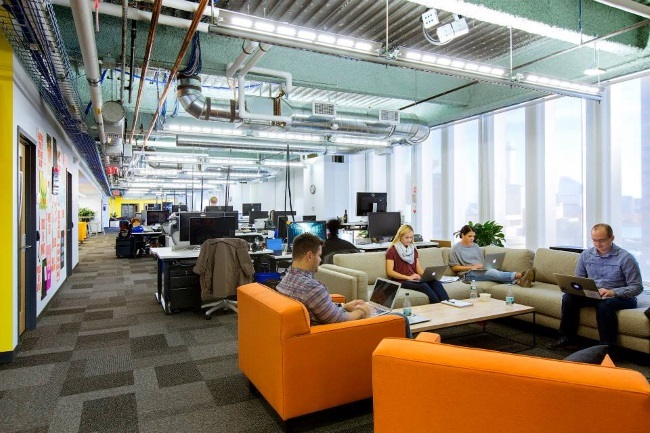 It’s been one year since Facebook opened an engineering office in the Boston area, and the team here couldn’t be happier about calling Kendall Square home. The Boston community has been incredibly welcoming, and we’ve had a lot of fun getting to know everyone from local startup founders to engineers to high school students at events like Lexington High School’s LexHack. Our Boston team has particularly enjoyed having the opportunity to speak at local developer gatherings like the Boston PHP Meetup and Northeast PHP Conference, and we look forward to continue getting involved in more events over the next year. To start, we couldn’t think of a better way to celebrate our one-year anniversary in Boston than hosting Data @Scale Boston, a free, day-long technical conference with speakers from companies like Constant Contact, DataXu, Facebook, HP Vertica, Infinio, Oracle, Tokutek, TripAdvisor, Twitter, VoltDB and Wayfair. Spots have already filled up for the conference, but keep an eye on the Facebook Boston page for videos of the talks. After Data @Scale Boston, you’ll continue to see us at local tech events, and we’ll also host more engineering-focused talks at our office. Over the past few months, we’ve started the Women in Infrastructure Meetup and Facebook Infra Tech Series, and we plan to hold both events regularly in 2015. For more photos of the space, check out this album. We look forward to hosting some of these events at the Facebook office, where we have a newly expanded space to support our growing engineering team. In the coming year, we’ll continue hiring experienced engineers for our Boston team to work on data infrastructure, core systems services, location and language runtimes, as well as new grads. If you’re interested in joining us, check out the Boston jobs page.